This site is really a collection of websites I manage in my work on the X-Plane flight simulator. Therefore I recommend you check directly with the various contained sites for updates and info. 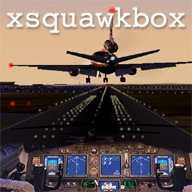 XSquawkBox will be a plugin that allows players to connect X-Plane to the VATSIM or IVAO global air traffic control networks. Fly online with hundreds of other pilots; receive ATC instructions from real live people over the internet via voice-over-IP, see other aircraft ahead of you on the approach and hear ATC sequencing you in. As real as it gets! 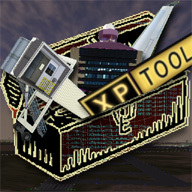 This is a programming interface for extending X-Plane. Build multiplayer gaming plug-ins, reprogram the built-in ATC, extend the cockpit, add scenery, and more! 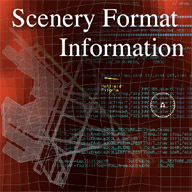 Information for both authors and programmers on X-Plane 8 scenery. This is a mirror of http://scenery.x-plane.com/. 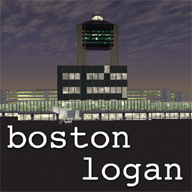 I am working with Sergio Santagada and Theo S. Davis to create scenery for Logan Airport. This scenery is in a beta state, but many of the tools used to make this scenery are now available. Most of the current utilities I have written are available on the X-Plane scenery SDK site listed above; this link contains some of my older utilities.